The Strengthening Institutions Program (SIP) provides funding to support institutions of higher education to help them become self-sufficient and expand their capacity to serve low-income students by providing funds to improve and strengthen the institution's academic quality, institutional management, and fiscal stability. Funds may be used for a myriad of purposes including: planning, faculty development, and establishing endowment funds. Administrative management, and the development and improvement of academic programs also are supported. Other projects include joint use of instructional facilities, construction and maintenance, and student service programs designed to improve academic success, including innovative, customized, instruction courses designed to help retain students and move the students rapidly into core courses and through program completion, which may include remedial education and English language instruction. The Department of Education is conducting two separate competitions (Parts A and F) for SIP grants in 2017. 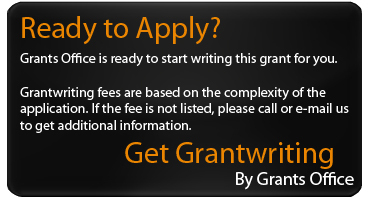 Applicants may apply for grants in both the 84.031A and 84.031F competitions, but can only receive one grant. The department will default to funding the Part F application if both score high enough to be awarded. The CFDA number 84.031A competition does not include any priorities. The CFDA number 84.031F competition includes one absolute priority and one optional competitive priority. Absolute Priority: Moderate Evidence of Effectiveness. Projects that are supported by moderate evidence of effectiveness. Competitive Preference Priority: Projects that provide tutoring, counseling, and student service programs designed to improve academic success, including innovative, customized, instruction courses designed to help retain students and move the students rapidly into core courses and through program completion, which may include remedial education and English language instruction. The Department is interested in receiving applications with strong plans for improving outcomes for students who are academically underprepared for college.Each year, substantial numbers of students enroll in college and are assigned to take developmental education courses. These non-credit bearing courses often introduce an additional barrier to college persistence and completion for college students, particularly at SIP-eligible institutions. Proposed activities should be designed to assist students in progressing into creditbearing courses. In recent years, SIP competitions have given priority to applicants proposing evidence-based interventions and who commit to conducting rigorous evaluations of those interventions. In responding to the absolute priority, we encourage applicants to not just identify the proposed evidence-based interventions, but also to describe how those interventions will be implemented in a way that will change institutional practices, cultures, and the overall institutional approach to improving results for students. To meet the absolute priority of Title III, Part F applicants must identify no more than two studies that underpin the primary practice or strategy they intend to carry out. Cited studies may include both those already listed in the Departments What Works Clearinghouse (WWC) Database of Individual Studies (see https://ies.ed.gov/ncee/wwc/ ReviewedStudies#/OnlyStudiesWithPositive Effects:false,SetNumber:1) and those that have not yet been reviewed by the WWC. Studies listed in the WWC Database of Individual Studies do not necessarily satisfy any or all of the criteria needed to meet the moderate evidence of effectiveness standard. Therefore, it is important that applicants themselves ascertain whether the study or studies for the evidence priority meets the standard for moderate evidence of effectiveness. There is at least one study of the effectiveness of the process, product, strategy, or practice being proposed that meets the What Works Clearinghouse Evidence Standards without reservations, found a statistically significant favorable impact on a relevant outcome (with no statistically significant and overriding unfavorable impacts on that outcome for relevant populations in the study or in other studies of the intervention reviewed by and reported on by the What Works Clearinghouse), and includes a sample that overlaps with the populations or settings proposed to receive the process, product, strategy, or practice. Designation as an eligible institution is required prior to formal application to the SIP (or any other Higher Education Act) grant program. To be eligible for HEA Title III or V programs, an institution of higher education's average œeducational and general expenditures (E&G) per full-time equivalent (FTE) undergraduate student must be less than the average E&G expenditures per FTE undergraduate student of institutions that offer similar instruction in that year. Pending this initial calculation or approval of waiver, institutions must then meet further qualifications based on the specific grant program under the HEA for which they wish to apply. The Department has instituted a process known as the Eligibility Matrix (EM), under which they will use information submitted by IHEs to IPEDS to determine which institutions meet the basic eligibility requirements for the programs authorized by Title III or Title V of the HEA. The Department will use enrollment and fiscal data for the 2015-2016 year submitted by institutions to IPEDS to make eligibility determinations for FY 2019. Beginning January 29, 2019, an institution will be able to review the Department's decision on whether it is eligible for the grant programs authorized by Titles III or V of the HEA through this process by checking the institution's eligibility in the Eligibility system linked through the Department's Institutional Service Eligibility website at: http://www2.ed.gov/‹about/‹offices/‹list/‹ope/‹idues/‹eligibility.html. If the entry for your institution in the EM shows that your institution is automatically eligible (green color coding) to apply for a grant for a particular program and you plan to submit an application for a grant in that program, you will not need to apply for eligibility or for a waiver through the process described in this summary. Rather, you may print out the eligibility letter directly. However, if the EM does not show that your institution is automatically eligible (yellow color coding) for a program in which you plan to apply for a grant, you must submit a waiver request as discussed in this summary before the deadline. Note that eligibility designation for waivers are effective for one year: from July 1, 2019 to June 30, 2020. NOTE: A grantee under the HSI (Hispanic Serving Institutions) program, which is authorized under title V of the HEA (Higher Education Act), may not receive a grant under any HEA, title III, part A program. The title III, part A programs are: SIP; the Tribally Controlled Colleges and Universities program; the Alaska Native and Native Hawaiian-Serving Institutions program; the Asian American and Native American Pacific Islander-Serving Institutions program; and the Native American-Serving Nontribal Institutions program. Furthermore, a current HSI program grantee may not give up its HSI grant to receive a grant under SIP or any title III, Part A program. An eligible HSI that is not a current grantee under the HSI program may apply for a FY 2019 grant under all Title III, part A programs for which it is eligible, as well as receive consideration for a grant under the HSI program. However, a successful applicant may receive only one grant under the HEA. Finally, for any IHE with current funding under a SIP grant (whether that is Part A or F) a two-year hiatus is required between current project close-out and ability to reapply for SIP funding. While the SIP competitions occur on a biennial cycle, the Title III and V eligibility window is annual. The deadline to confirm eligibility or submit a request for waiver for Title III or Title V funding in time for the SIP 2019 competition is February 28, 2019. Please see https://hepis.ed.gov/title3and5/login.cfm for more information. Note that eligibility designation for waivers only of the non-federal cost share is effective for one year: from July 1, 2019 to June 30, 2020. Provided the applicant institution is listed as automatically eligible within the current FY's eligibility matrix (green color coding) or applied for a waiver (yellow color coding) and received an approval letter, they are then permitted to apply to the SIP program once the window opens. The Administration has requested $86,534,000 for awards for the SIP program for FY 2017, of which the Department intends to use an estimated $3,699,000 for Part A of this competition, and $3,699,000 for Par F of this competition. The actual level of funding, if any, depends on final congressional action. Part A award details: Award size will range from $400,000$450,000 per year. Average award size is $415,000 per year. The number of awards granted will be between 8 and 9. Part F award details: Up to 7 awards will be granted ranging from $500,000$600,000 per year. Average award size is $550,000 per year. Grant period is up to 60 months (5 years). This program does not require cost sharing or matching unless the grantee uses a portion of its grant for establishing or improving an endowment fund.